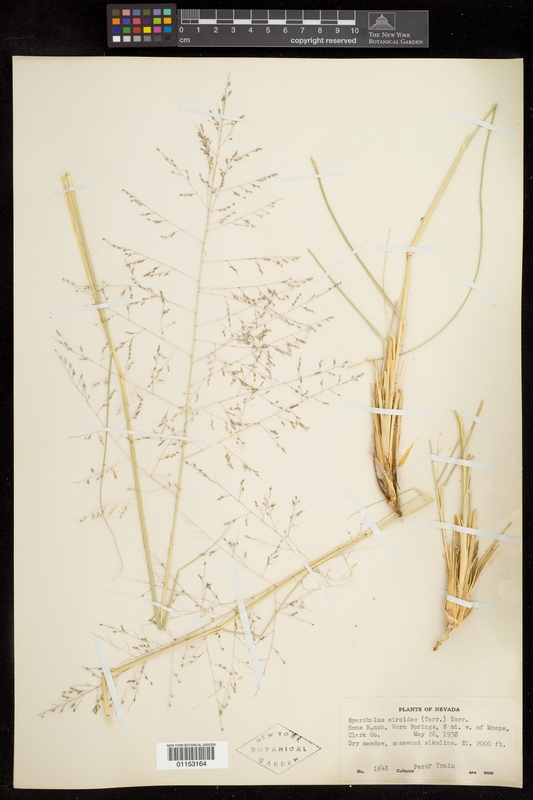 Taxon: Sporobolus airoides (Torr.) Torr. Locality: United States of America, Nevada, Clark Co., Warm Springs, Home Ranch, 8 miles west of Moapa. Habitat: Dry meadow, somewhat alkaline.